1. “Moralistic behavior change bends a person into a different pattern through fear of consequences rather than melting a person into a new shape. But this does not work. If you try to bend a piece of metal without the softening effect of heat, it is likely to snap back to its former position. This is why we see people try to change through moralistic behaviorism find themselves repeatedly lapsing into sin… But the gospel of God’s grace doesn’t try to bend a heart into a new pattern; it melts it and re-forms it into a new shape. The gospel can produce a new joy, love, and gratitude—new inclinations of the heart that eat away at deadly self-regard and self-concentration” (Timothy Keller, Center Church [Grand Rapids: Zondervan, 2012], p. 67). 2. “It is quite easy to assume that if we understand the gospel accurately and preach it faithfully, our ministry will necessarily be shaped by it—but this is not true. 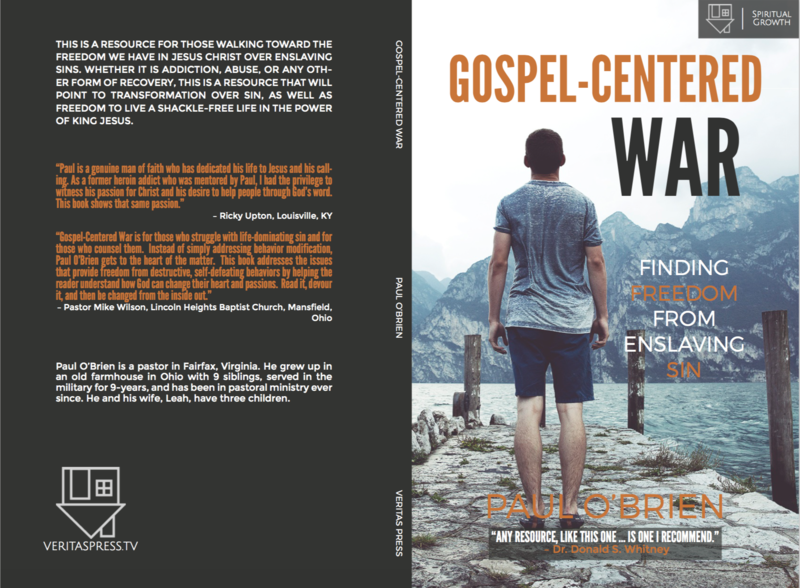 Many churches subscribe to gospel doctrines but do not have a ministry that is shaped by, centered on, and empowered through the gospel. Its implications have not yet worked their way into the fabric of how the church actually does ministry” (Timothy Keller, Center Church, p. 28). 1. Zach Eswine quotes Francis Schaeffer as saying, “First of all, man is separated from God; second, he is separated from himself (thus the psychological problems of life); third, he is separated from other men (thus the sociological problems of life); fourth, he is separated from nature (thus the problems of living in this world—for example, the ecological problems). All these need healing” (p. 42). 2. “Beginning with sin instead of creation is like trying to read a book by opening it in the middle: they don’t know the characters and can’t make sense of the plot” (p. 44). Character (the man and woman were to reflect God’s character)” (p. 44). Dawkins says “justice is a human construct of great importance in human affairs.” And Dawkins believes that there is probably a Darwinian explanation that explains justice. So, our concept of justice is just a convenient Darwinian happenstance. I believe he says “blessed precious mistake” in his book The God Delusion. Of course, Nietzsche would disagree. Nietzsche in On the Genealogy of Morals doesn’t think it’s blessed or precious. Also, if justice is merely a human construct then the cannibal clan in Cormac McCarthy’s book The Road are not wrong in keeping people locked up in the cellar in order to slaughter and eat. “Because recovery as conceived by A.A. is a technology of habit reformation, it demands vigilant attention to both the external and internal dimensions of sober action” (79). “Addiction is a complex habit” (88). “The scope of recovery is therefore radically extended within a Christian view of addiction. Indeed ‘recovery’ does not sufficiently name the Christian hope in the face of addiction. Instead the Christian hopes for ‘discovery’ and ‘new creation’—not a return to some maintainable equilibrium between who we are and what we want but rather a transformation of the self that brings who we are and what we want… into perfect coordination and harmony” (183). “In claiming the identity of ‘addict’ or ‘alcoholic,’ we deny that addiction is a habit and assert instead that it is an entity” ( 184). “Worship is… a totalizing activity; it demands that everything in a person’s life be put in the dock before God, interrogated by one standard and consequently renounced or reordered” (170). “If the church is to provide a genuine alternative to addicted persons seeking recovery, it must provide daily, rather than once-weekly opportunities for communal worship, testimony and prayer, and it must challenge its parishioners to treat the church as their primary social community” (191). “The wisdom of the twelve-step program lies in the recognition that the habit of addiction can only be supplanted through the development of another habit that is as pervasive and compelling as the habit of addiction” (165). “The addicted person, recognizing her own insignificance and her own insufficiency to realize perfect happiness, seeks to be taken up into a consuming experience, longs to be the object rather than the subject of experience, craves to suffer happiness rather than produce it” (158-59). “The pull of addiction is this pull toward ecstasy, the expression of a deep discontent with the life of ‘just so’ happiness, and the pursuit of an all-consuming love” (159). “Addictions are addicting just to the extent that they tempt us with the promise of such a perfect happiness, and they enslaving just to the extent that they mimic and give intimations of this perfection” (159).